Whether between family members, friends, employers and employees, politicians, political pundits, and—of course—tens of millions of people on social media, today’s discussions are no longer discussions but rather amped-up, hate-filled, vitriol-spilling diatribes and personal insults. The result? No minds are being changed but rather, they remain stuck in the “echo chambers” of their already closely-held beliefs. Worse, friends are becoming enemies, discourse has shut down, understanding and acceptance are not being reached, and people feel downright lousy about everything. What else can you do? Is there another way? Yes. Bob’s parable, told in his best-selling Go-Giver Series, is a simple way to re-frame the problem and rewire how we work, talk and gather. 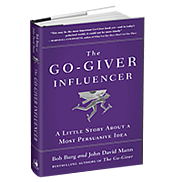 His innovative approach all began when Bob and his co-author, John David Mann, wrote The Go-Giver and then their follow up, the bestselling business parable The Go-Giver Leader. Their books challenge the conventional wisdom about success. This podcast will challenge yours as well. How about getting back to speaking nicely to each other? How to fix it? According to Bob, it's all about the gift of caring that can make both you and the person you're speaking with find personal happiness in such a way that all parties benefit greatly, resulting in both immediate and long-term success. 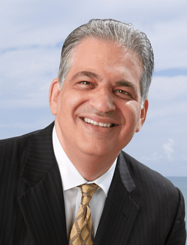 Bob Burg speaks all over the world on topics related to The Go-Giver series, as well as what he calls Ultimate Influence™. While his total book sales number well over a million copies, his and Mann’s original book has itself sold over 700,000 copies and has spurred an international movement. To reach Bob, email him at bob@burg.com.